George A. Romero’s Dawn Of The Dead and Martin are getting brand-new 4K restorations from the U.K.’s Second Sight Films. Second Sight officially announced that the two movies were on the way last month, but now we have a few more details about this exciting restoration project. This includes the fact that Dawn of the Dead is getting a 4K restoration, which was not originally announced and is huge news for Horror fans from all over the world. 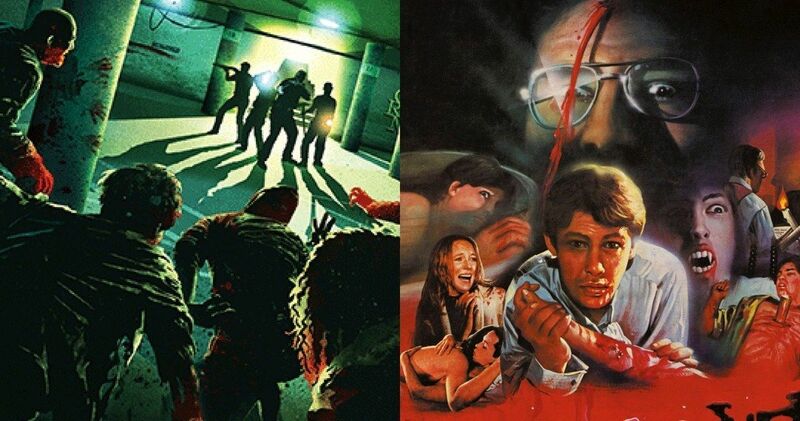 Second Sight has revealed that producer Richard P. Rubinstein has granted them access to the films’ original elements, including an original camera negative for Dawn of the Dead and a duplicate negative for Martin. These sources are being used to create the new Blu-ray and 4K scans. It looks like these might be U.K. only releases, but we don’t have that information just yet. They will be released sometime this summer, probably more towards the August area, so we will hopefully get some information soon. The scanning, color grading, and restoration of Martin and Dawn of the Dead will be managed by Final Frame under the supervision of Director of Photography Michael Gornick. As for the mastering and encoding for the project, that will all be handled by David Mackenzie of Fidelity in Motion, who is known for his special experience with these types of projects. That means that these are going to be the best way to experience both movies. Dawn of The Dead is set to be released as a 4K Ultra HD Blu-ray with HDR and will feature the George A. Romero Original, Unrated US Theatrical Release Cut (2:07), Romero’s Pre-US Release Cannes Cut (2:17) and the foreign edition edited by Dario Argento. There will also be a standard Blu-ray together with a Blu-ray release of Martin. Related: A 5 disc set of DAWN OF THE DEAD coming? Martin was shot in 1977 and released in 1978. The psychological horror drama was written and directed by George A. Romero, and starred John Amplas as Martin Mathias. Mathias believes that he is a vampire and Romero has said in the past that it is his favorite out of all of the movies that he has ever done and it is highly regarded amongst horror fans, which is more than likely why Second Sight is working so hard to get the 4K restoration finished. Hopefully we get some preview images in the next few months. Dawn of the Dead was also filmed in 1977 and released in 1978, which means that George A. Romero was a busy man during those two years. Romero wrote and directed the zombie horror movie, which is also highly regarded in horror circles. Romero’s work with Dario Argento is widely considered to be a horror classic and this new 4K restoration is going to be big news for horror fans. We’ll keep an eye out for more Second Sight updates to get the latest on the restoration process.